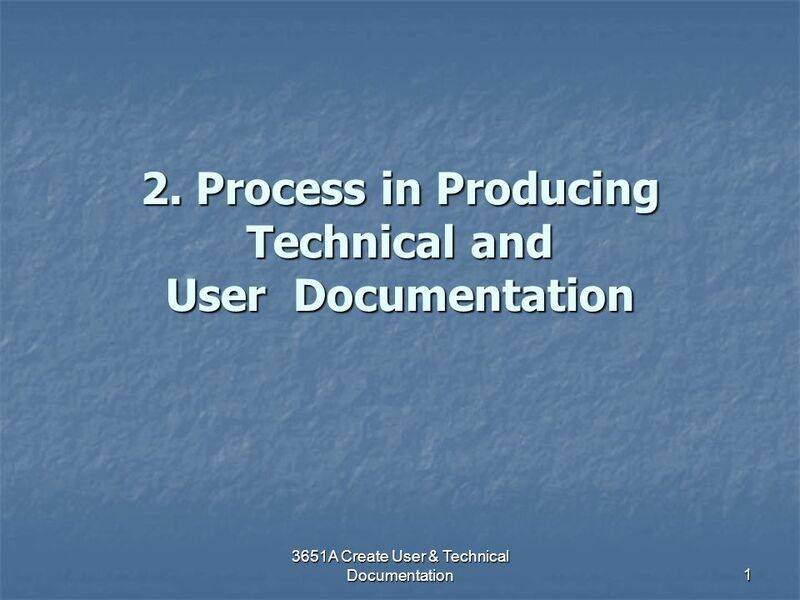 Download ppt "2. 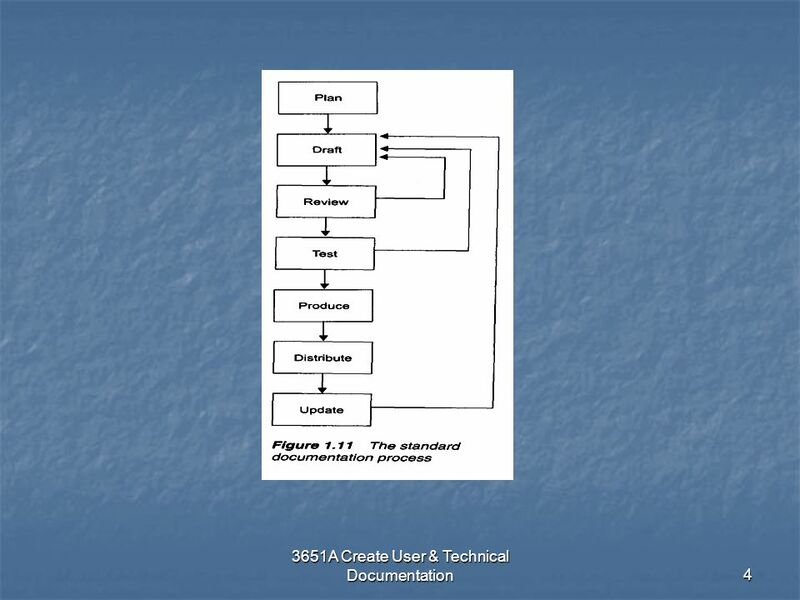 Process in Producing Technical and User Documentation"
Content 15.1 Basic features Types of database Data structures 15.2 Creating a database Screen layout Entering data Editing data 15.3 Displaying data Searching. 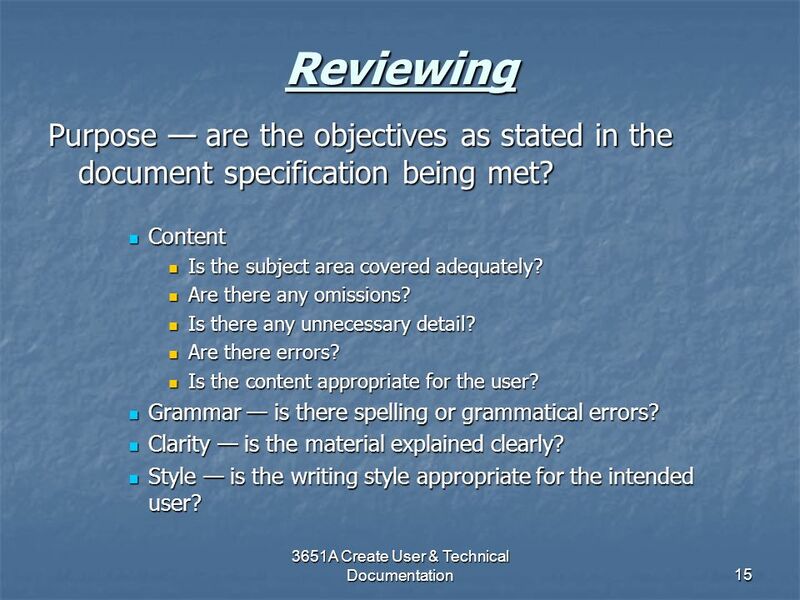 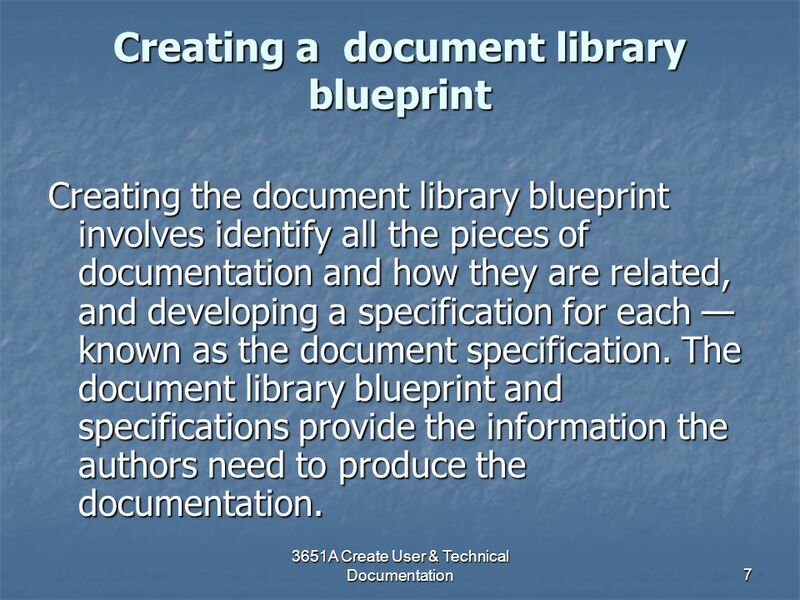 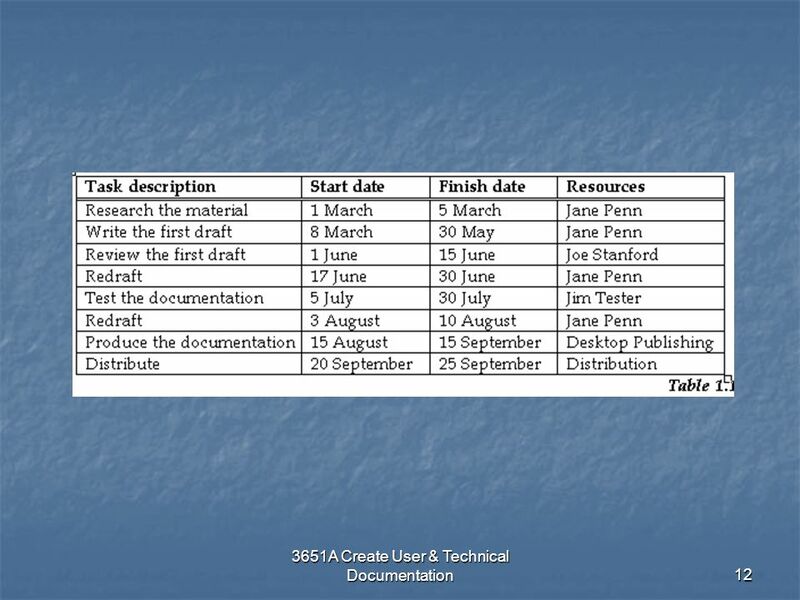 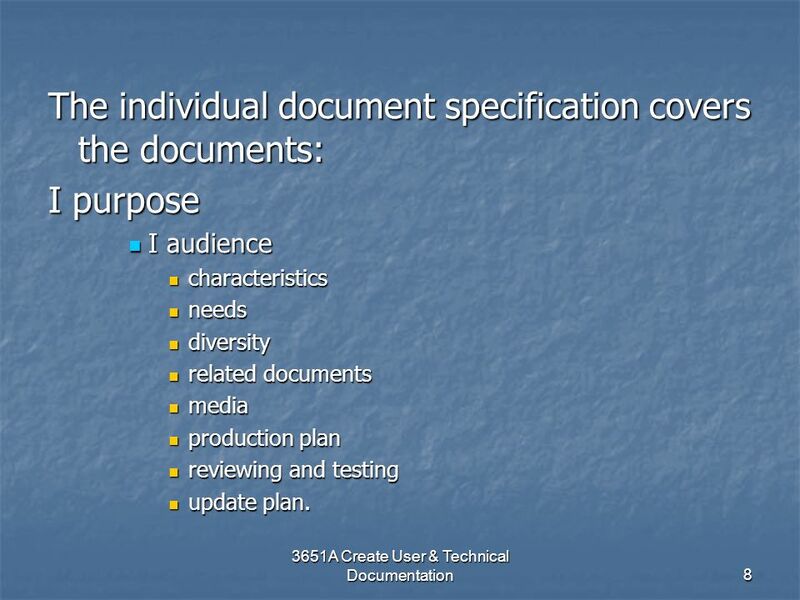 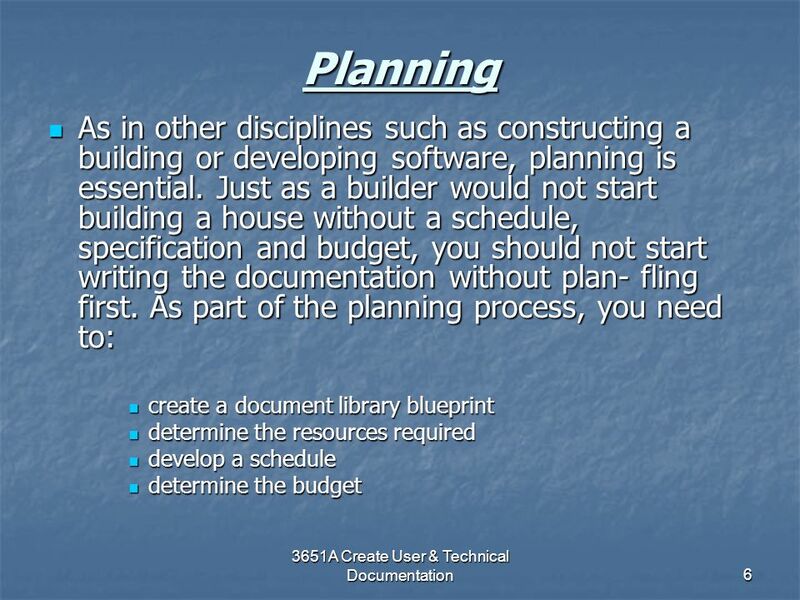 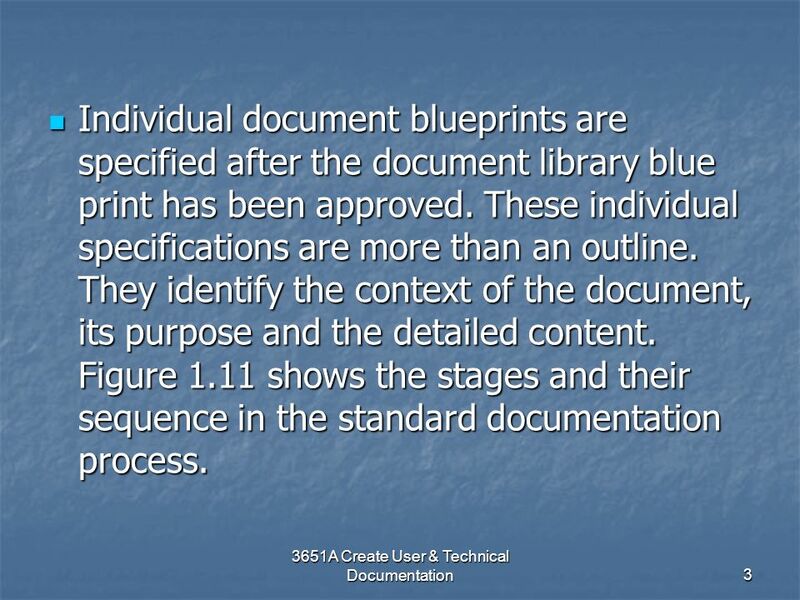 M. Reber © 5/1/2015 Document Development Cycle Creating Your User’s Guide Step-by-Step. 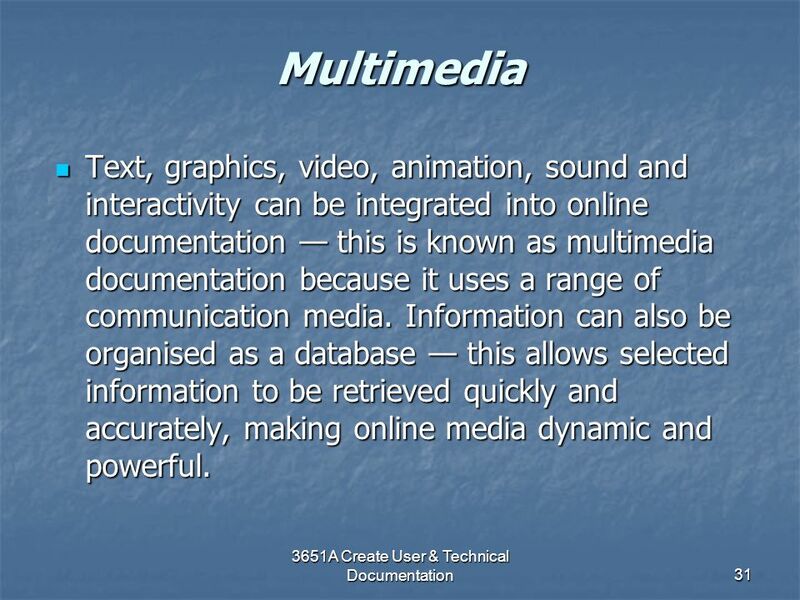 S OFTWARE AND M ULTIMEDIA Chapter 6 Created by S. Cox. 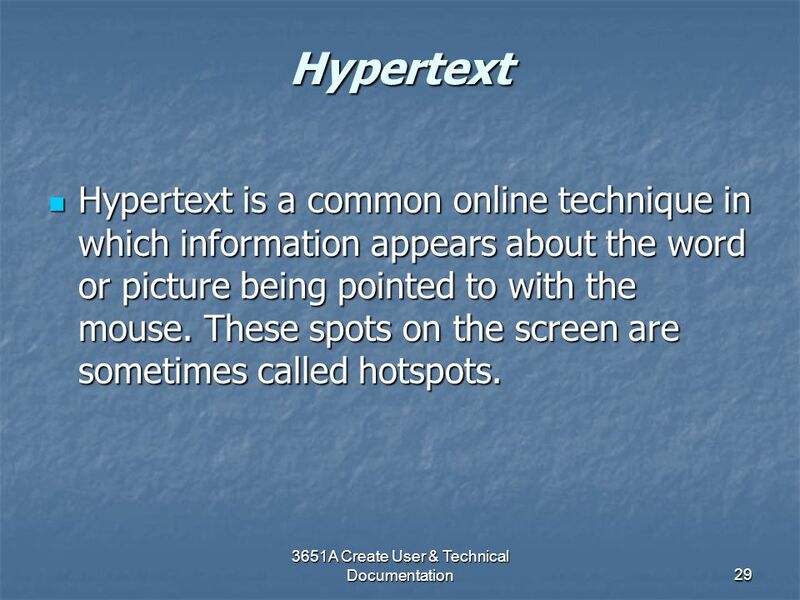 Desktop Publishing Unit 7. 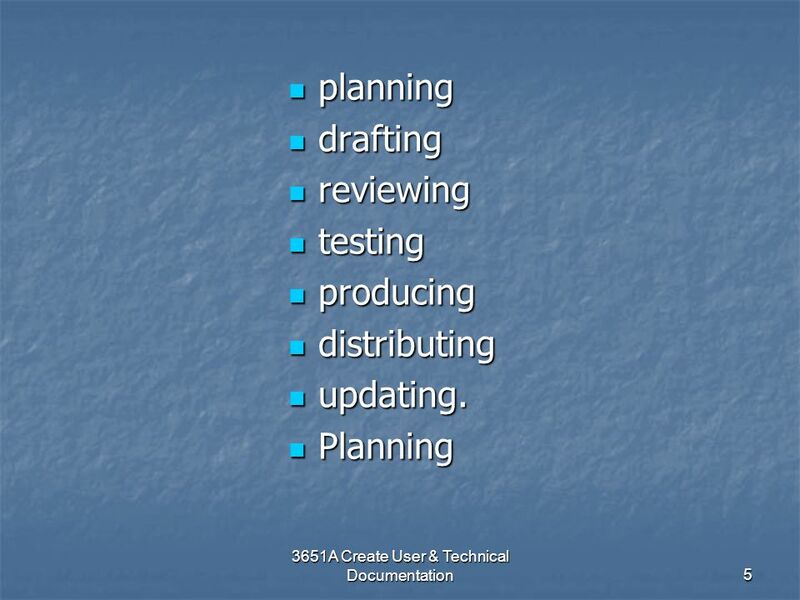 Unit Layout Five Assessment Objectives Unit Completion end of January – Allowing 2-3 Months contingency work. 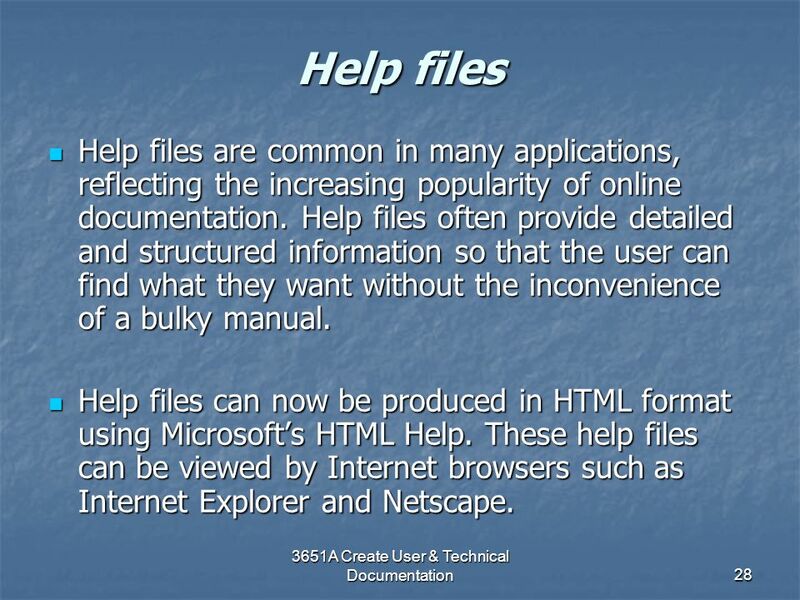 1st Project Introduction to HTML. 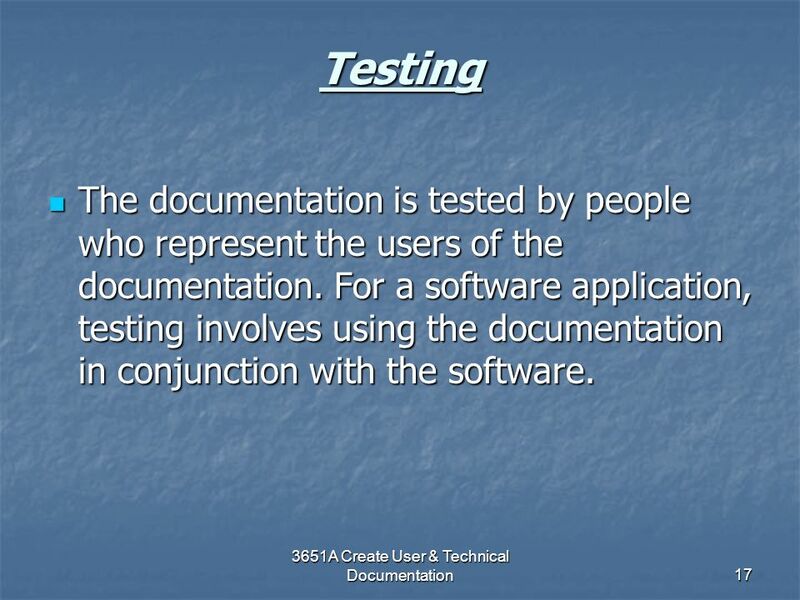 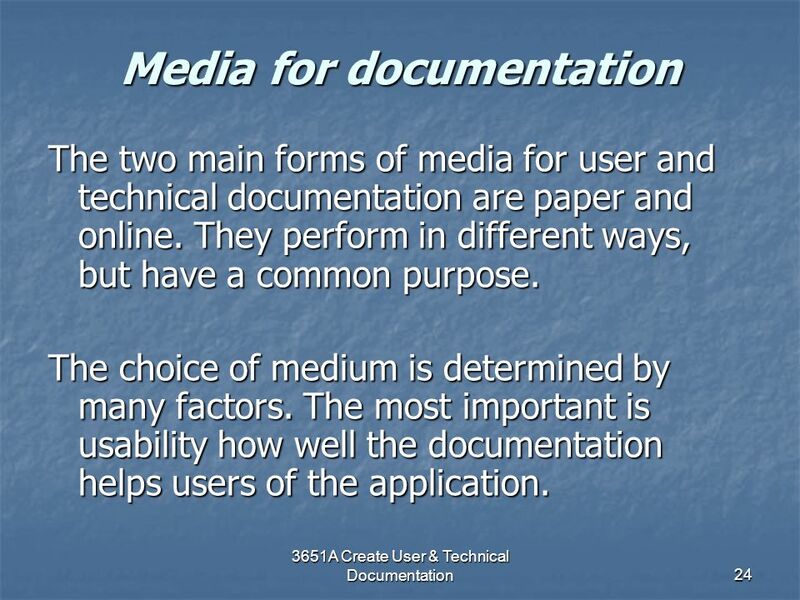 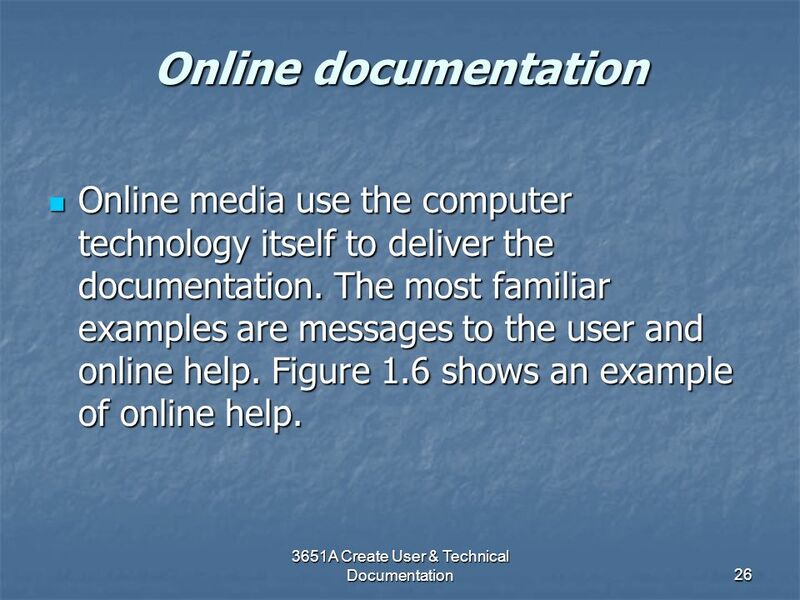 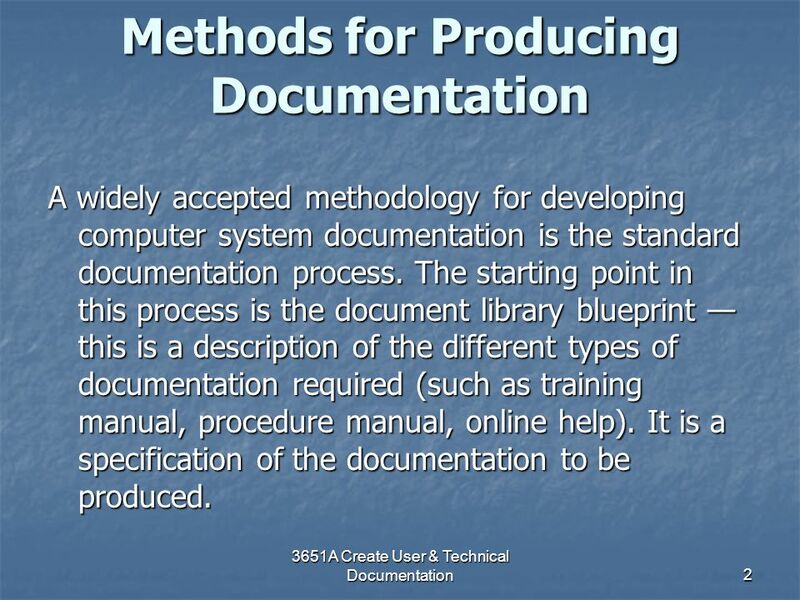 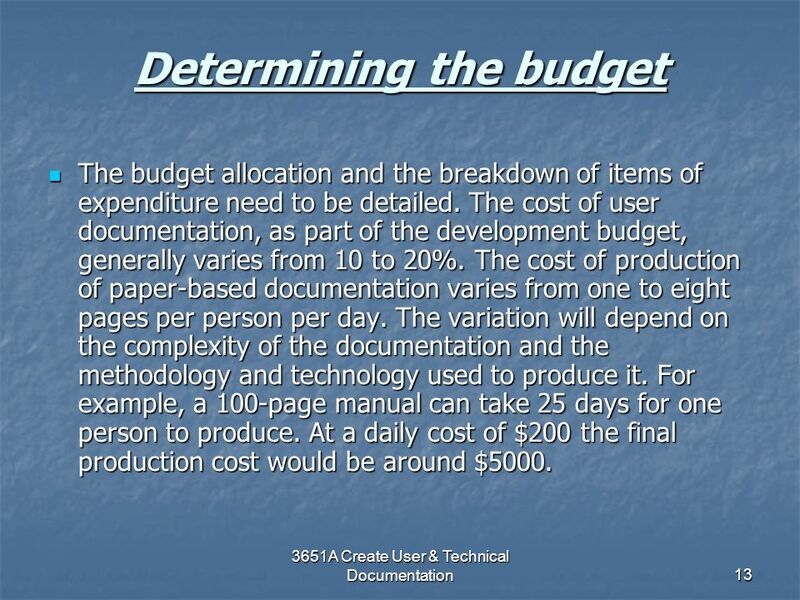 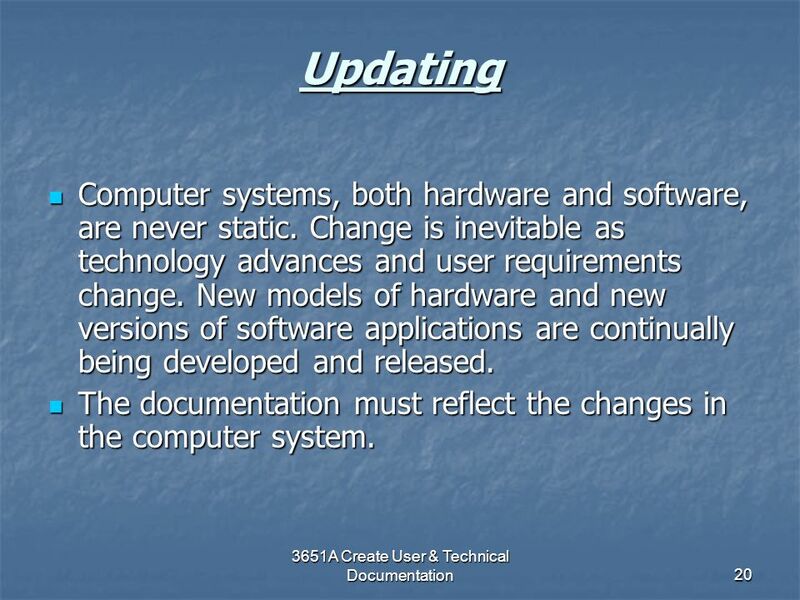 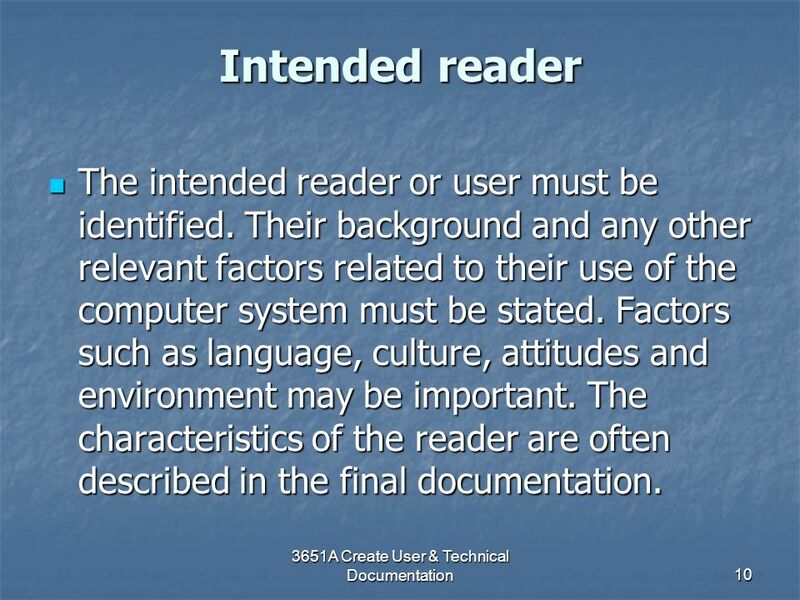 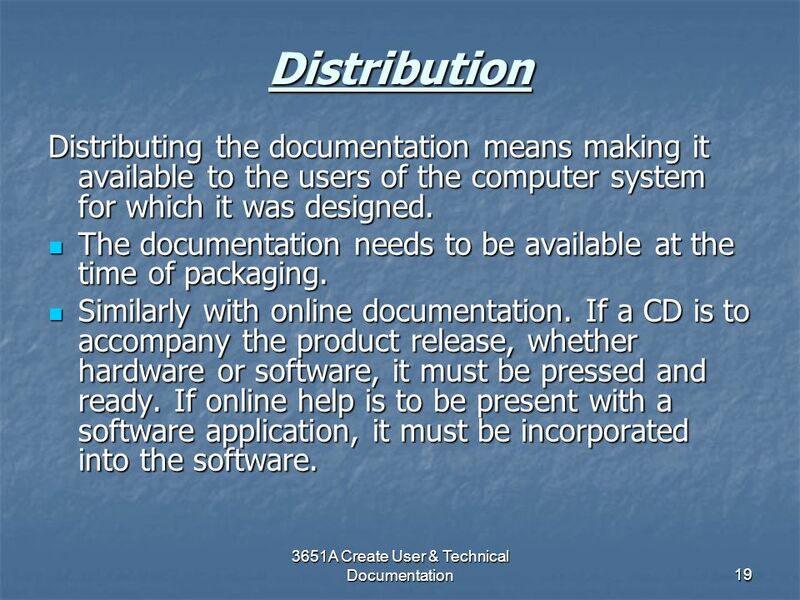 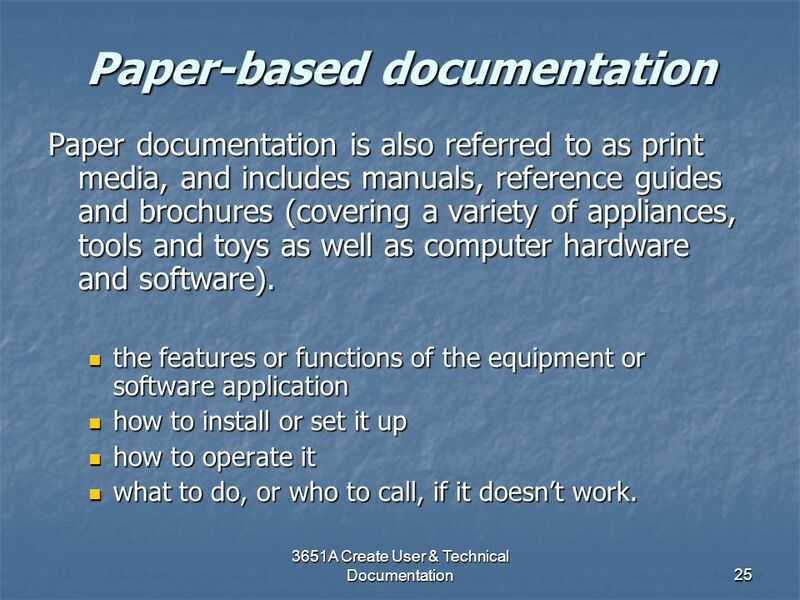 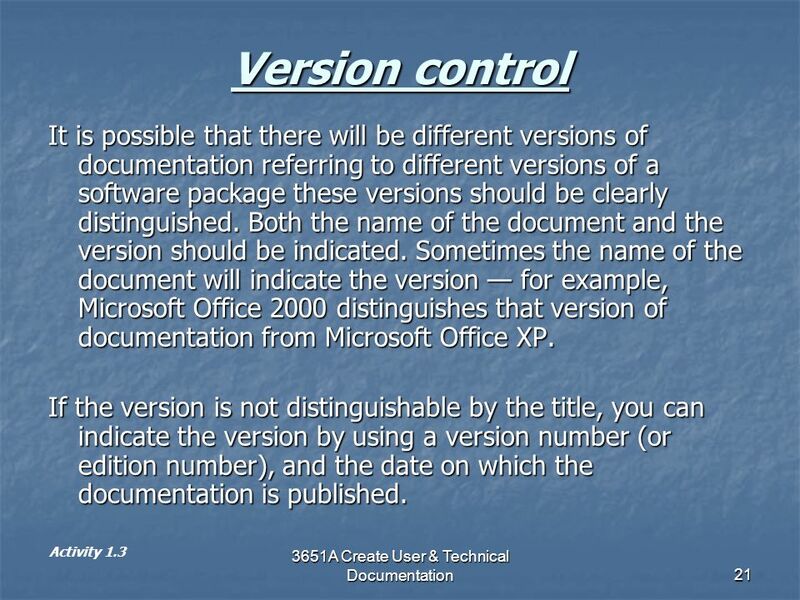 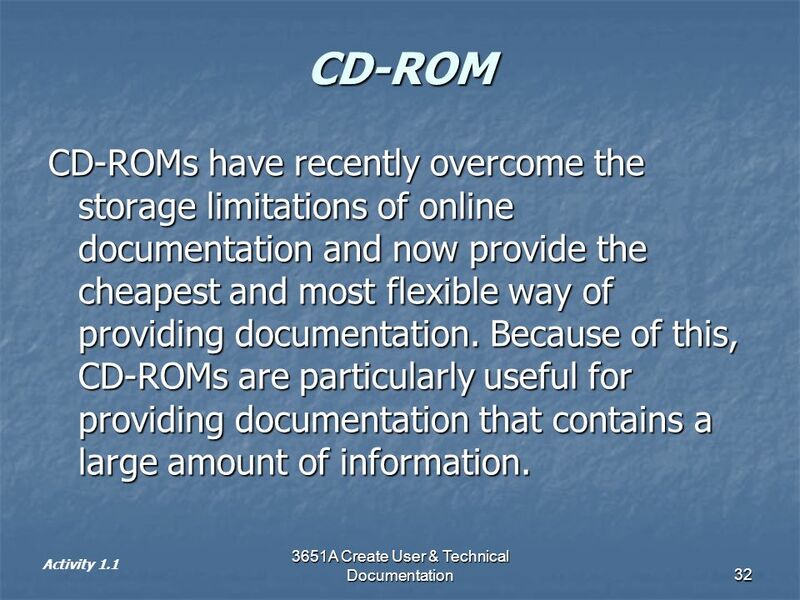 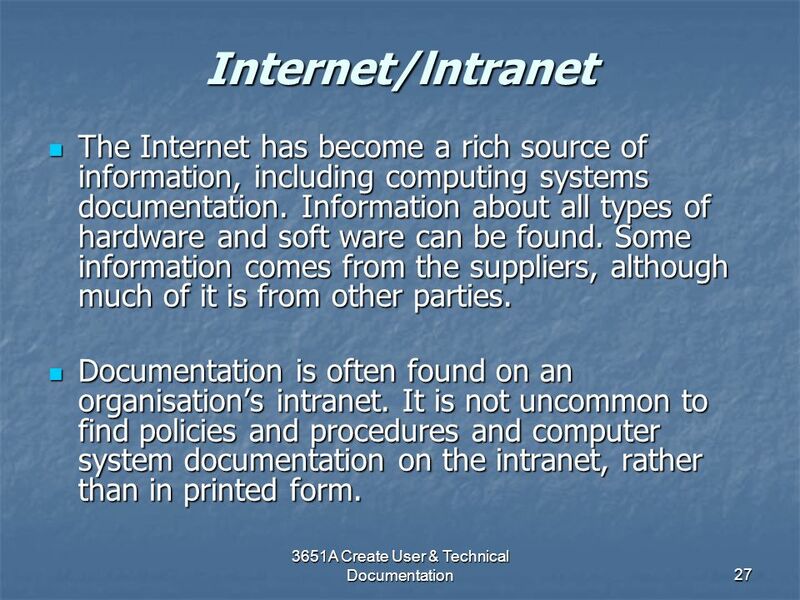 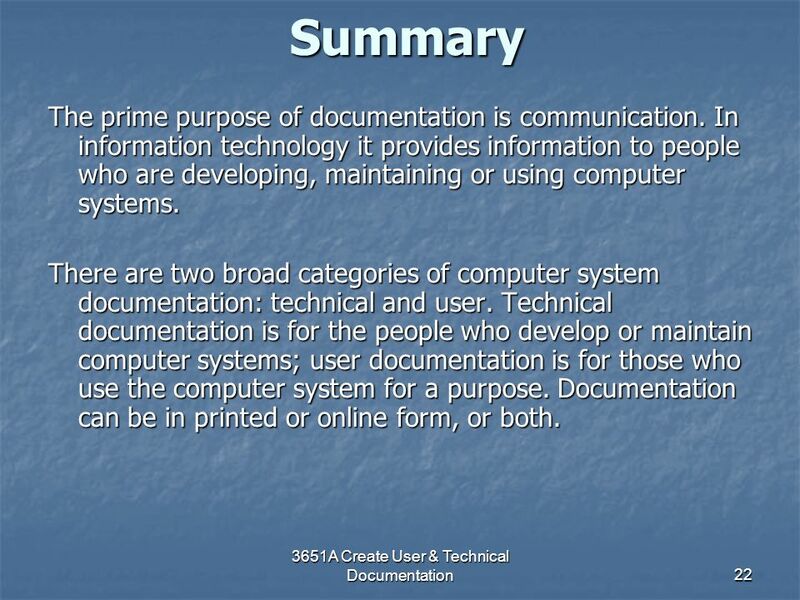 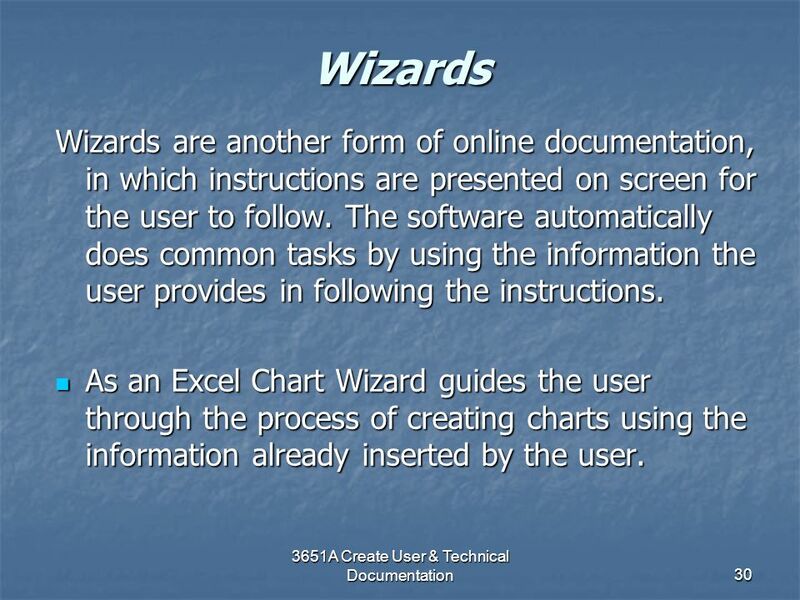 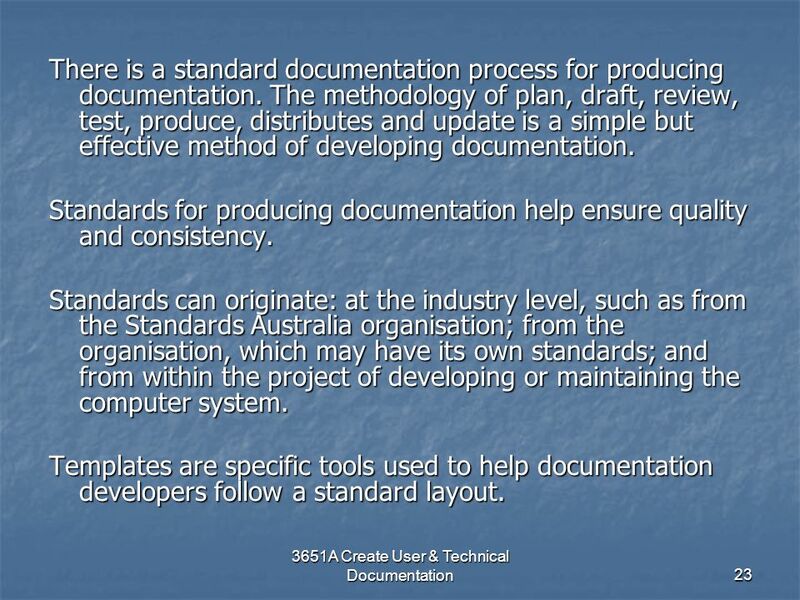 3651A Create User & Technical Documentation 1 4. 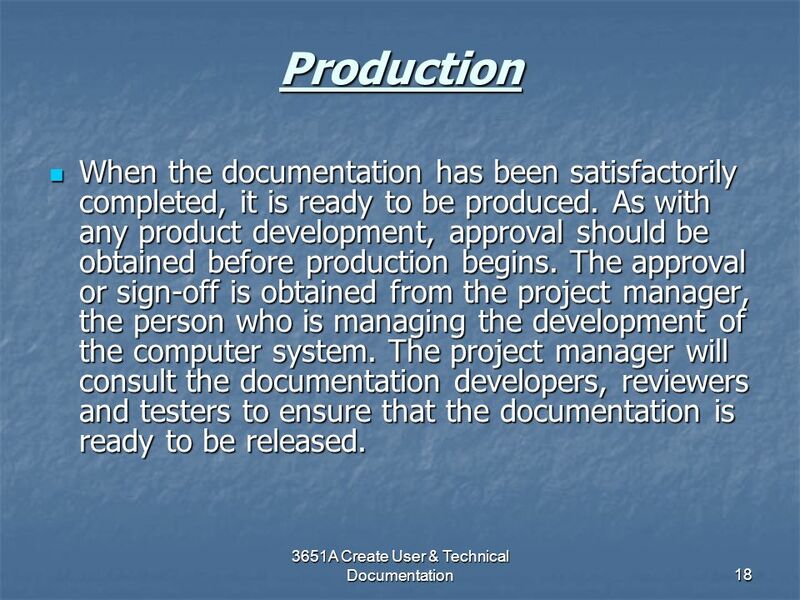 Create client user documentation and 5. 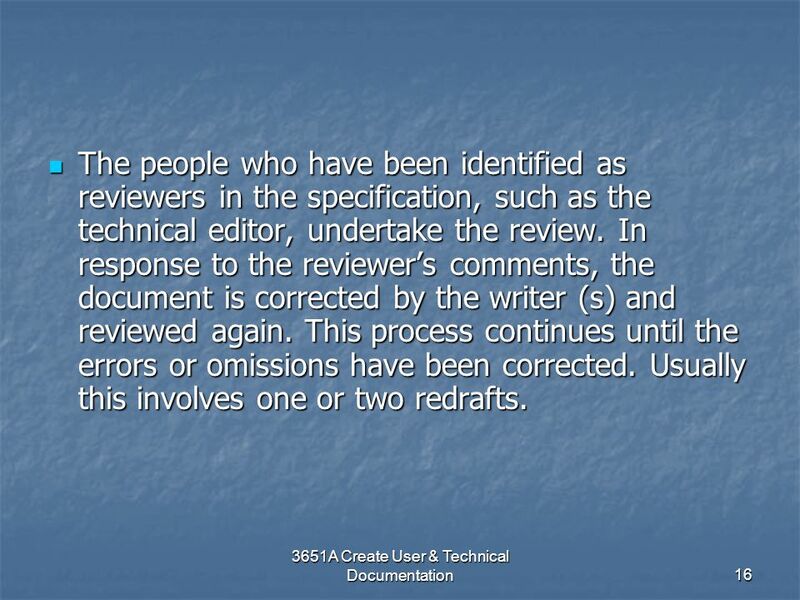 Obtain endorsement/sign-off. 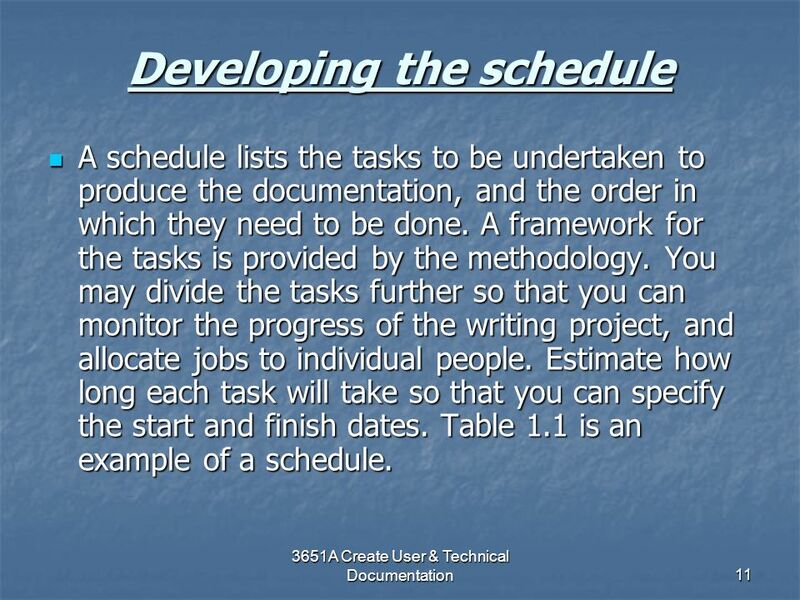 Understanding Task Orientation Guidelines for a Successful Manual & Help System.